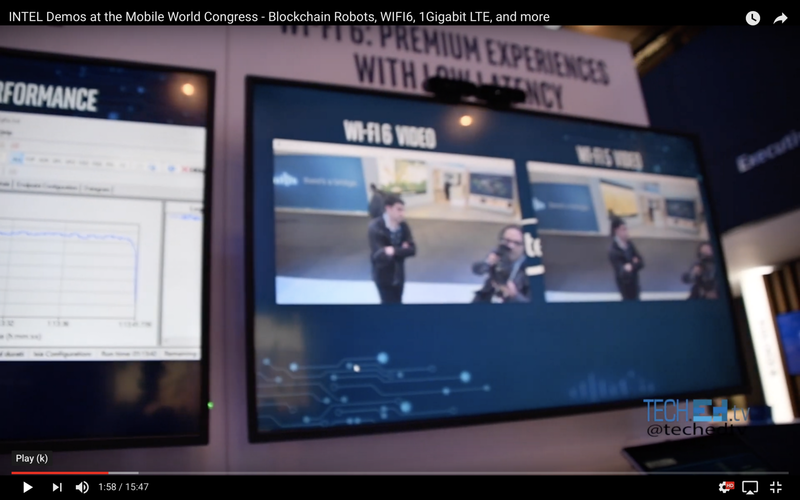 Our team went to INTEL’s booth and found out about all their technological innovations presented at the MWC 2019 in Barcelona. 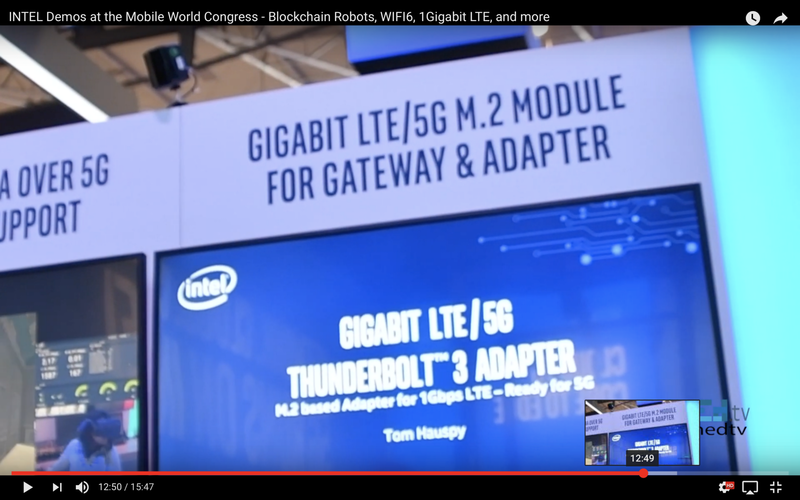 First, WIFI6, Intel demonstrated a WIFI6 setup at 6–7GHz with speed of 2Gbps and very low latency, they showed it with load and demonstrated how HD video suffered no perceivable loss of performance, in fact was always faster and more responsive than 5GHz which we have today. 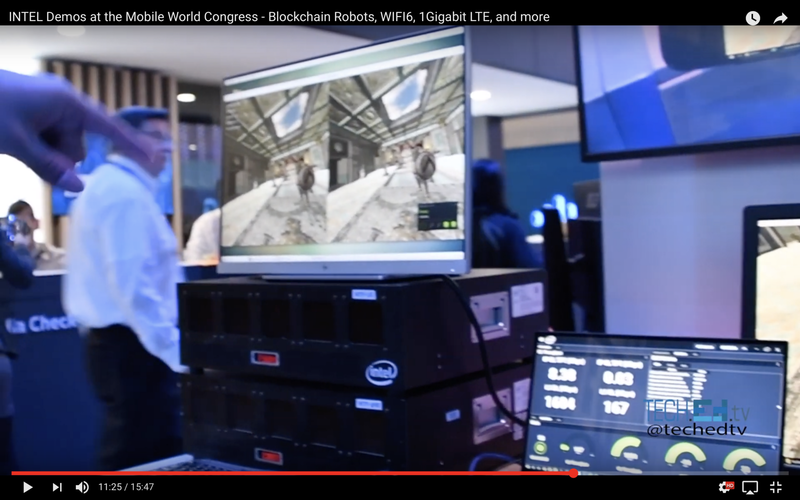 Later on, we moved to the next demonstration which was a blockchain fabric and autonomous robots used in a smart city environment. In the video, we see how those robots share their information thru a ledger and do no require a centralized computing device to find each other. 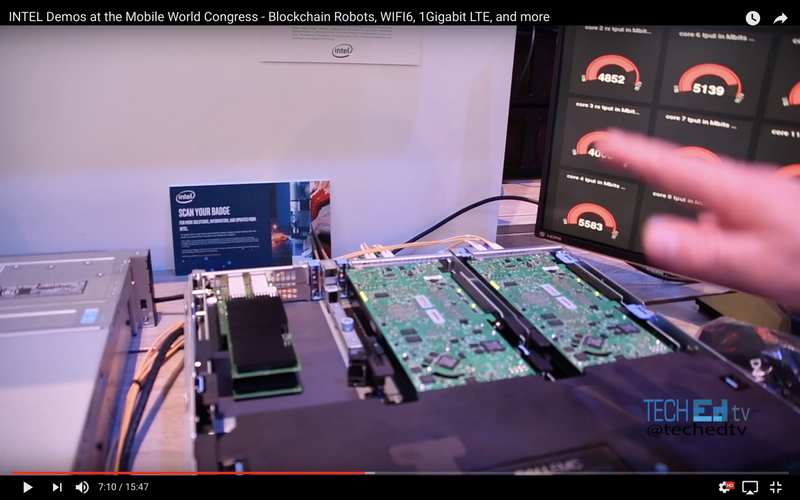 The next demonstration, INTEL had an FPGA or a Programmable Card designed for virtualized environments that can handle 200Gbps bandwith. As data rates in 5G are over 2Gbps, then switching and routing would require a lot higher than that, just as today with LTE we have 100Mbps links or Gigabit links between base stations and LTE bandwidth oscillates between 5Mbps to 30Mbps approximately. As expected, also autonomous cars, gesture controls, and all that video needs to be processed for intelligence. 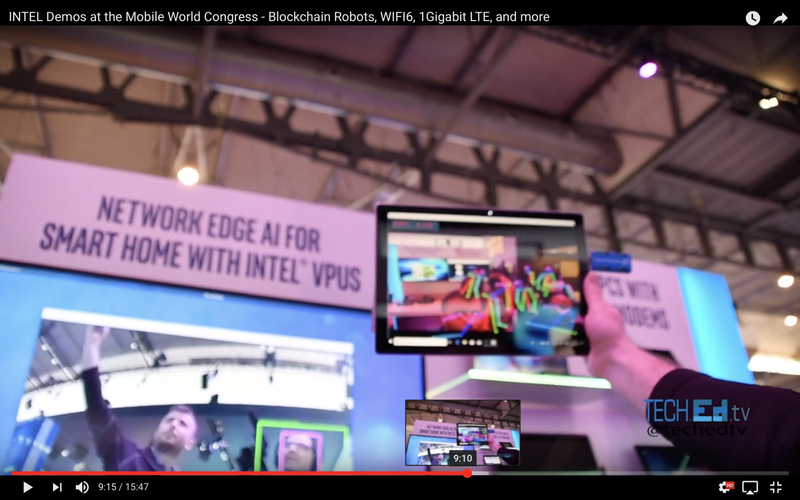 That can be achieved using VPU or Video Processing Units, INTEL demonstrated edge detection using their VPUs and as we can see in the video it seems very responsive and very accurate.